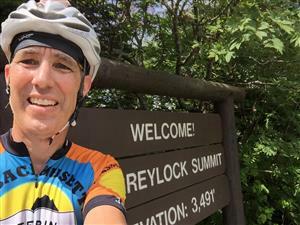 Riding this week with old friend James (who introduced me to Quabbin), I asked if he had done any interesting rides recently. 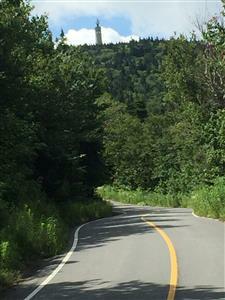 "Yes -- I went up Mount Greylock last month. You must have done that when you did your 351 riding?" 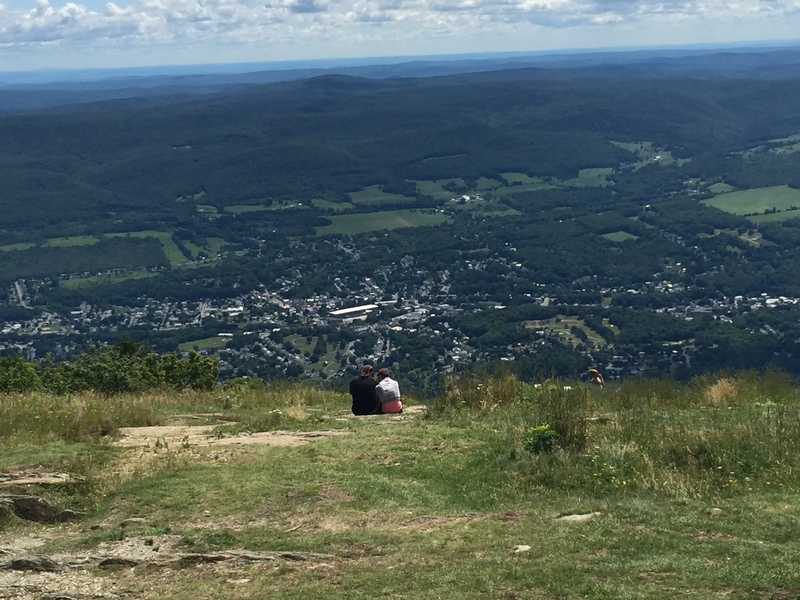 Mount Greylock. 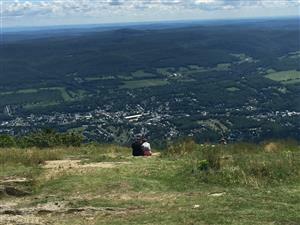 Highest point in Massachusetts. Only Class 1 climb in the Commonwealth. 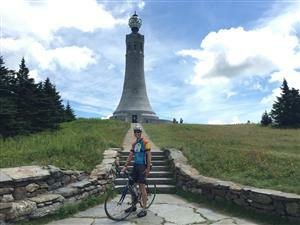 Our final ride to finish "351" was a circumnavigation of Greylock; we spent the whole afternoon looking at that bad boy and said "next time". Next time became today! It's a simple ride, really. Follow Route 2 to North Adams. Park the car on Notch Road. Just a 9 mile ride along a well maintained road. Except -- you are about to climb 3000 feet, a 6% average grade. Things to remember. Riding up from Route 2 on Notch Road, you have 2.5 miles of steady, moderate climb. Get warmed up. But -- nothing you haven't done lots of times. 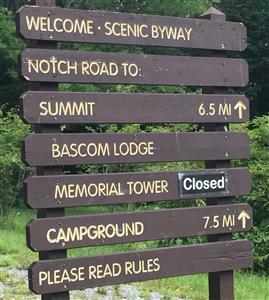 From the park entrance, you have 6.5 miles to go. The first half -- punishing. Ranges from "up" to "way up". Expect two half-mile stretches of 10%+ grade, one shortly after the entrance, the second two miles later. Use the "less up" sections to steadily spin without pushing. I still needed short rests on the steep parts. And the last third -- really not that bad. You know you are going to make it. Enjoy the view! And coming down -- even with brakes, being focused on the road, it was amazing how quick the gate came. FUN! Next time, I'll try it from the south end. It's basically the same ride. One thing off the bucket list :) Saw 4 other bikes on the road, we were all pleased with our work. F overcomes MA! 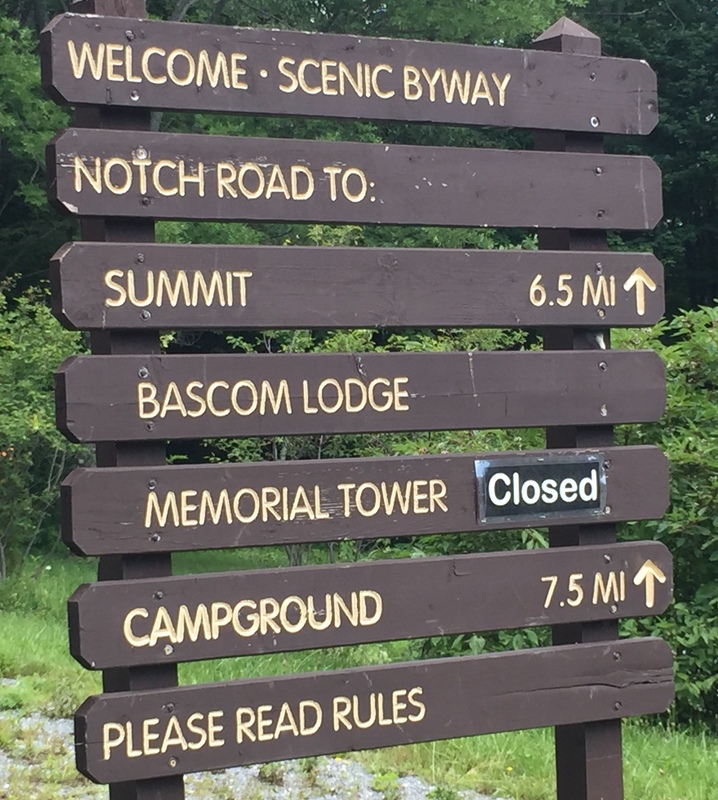 PS: 1:02 for the 6.7 miles from park entrance to summit. 2 miles to go -- gonna make it!